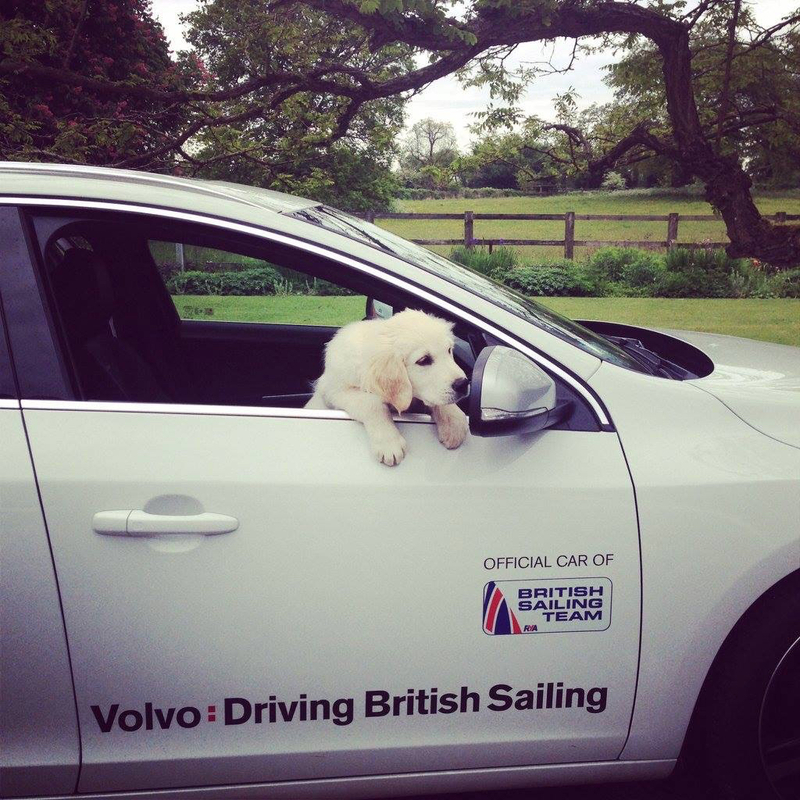 Over my time racing for the British Sailing team, I’ve been very lucky to have some amazing and supportive sponsors; one that deserves a special and quite simply massive THANK YOU is Volvo. 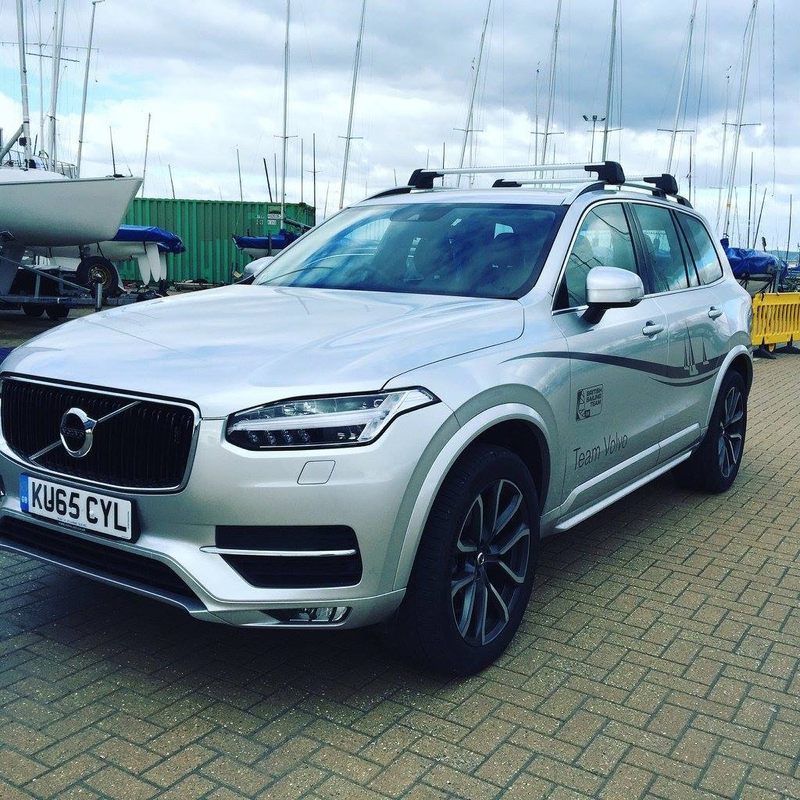 I’ve had the privilege to drive some top of the range luxury cars, and they’ve made the logsitics of the Sonar programme a lot easier; towing nearly 3 tonnes of Sonar Beastie around Europe was made a lot safer, and way more comfortable thanks to the XC90! 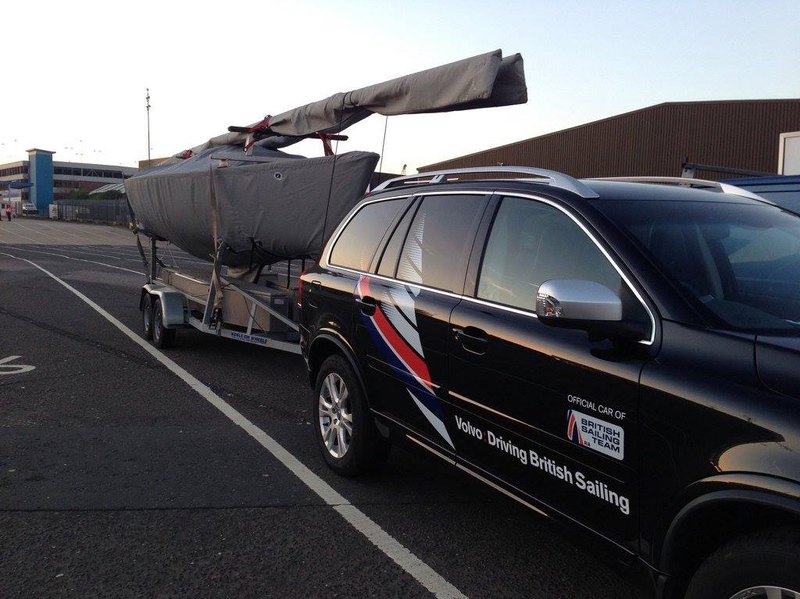 Starting out with Volvo, it soon became very clear that I was towing by far one of the biggest boats in the Olympic and Paralympic programmes, and there was no other option than to use the XC90 to tow with. With a capability to tow up to 3 tonnes, and some powerful engine specs under the bonnet, as well as ridiculously comfy seats, it really has been an amazing car! You should always check your mirrors before reversing! Miles and miles passed by with these cars, and despite the original design of the XC90 being nearly 13 years old, you couldn’t have known it! It wasn’t all XC90 fun and games though! 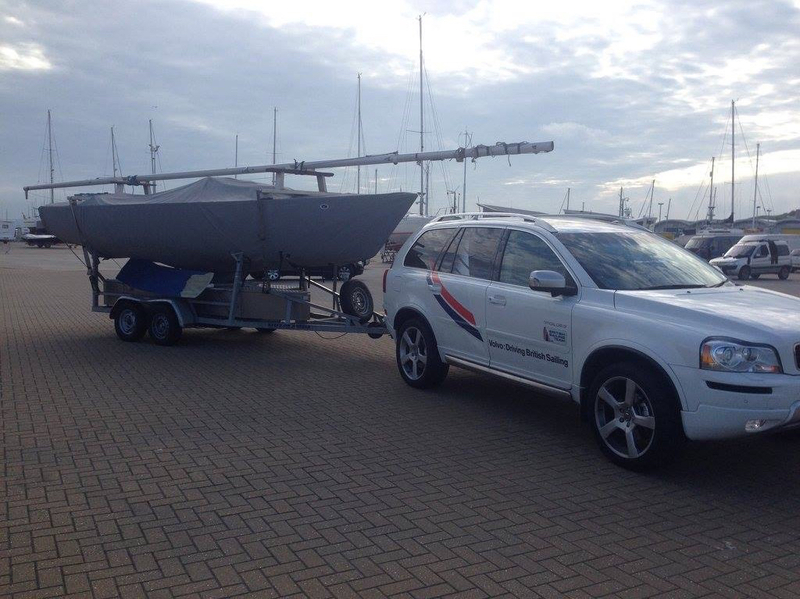 During the time that Volvo were looking to launch the newer model of the car, I got the use of an XC70. “Victor” as he was christened was a faithful pulling machine, and he punched above his outward appearances; looking at him you’d never have thought that he had nearly the same towing capacity as the XC90, but he never let me down! 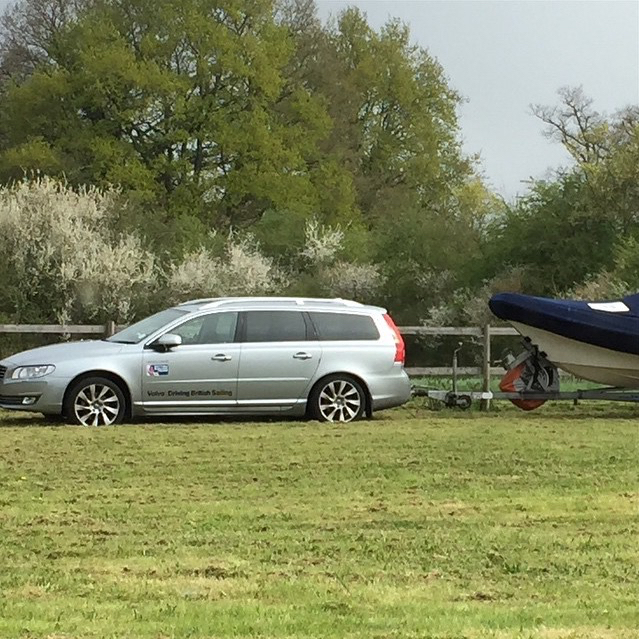 One year, I had the job of driving team mate Steve’s V70 down to France. 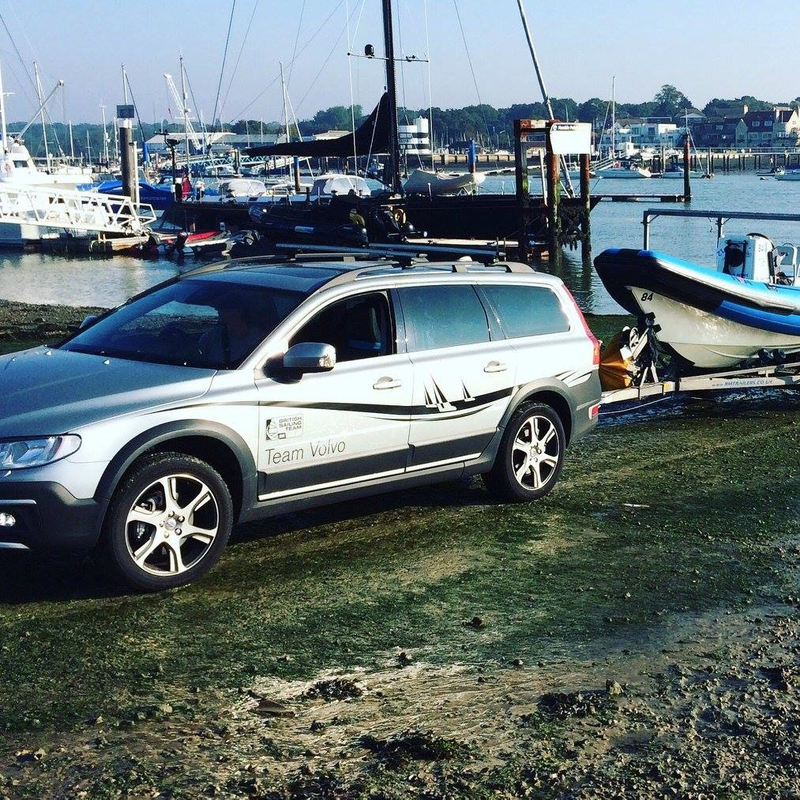 A very sleek looking car, it suprised me with how well it pulled our coach boat, and how the miles just seemed to disappear… I’d done the 630 miles from my Dad’s house in the Loire Valley to Hyeres without really noticing, and that’s testament to cars that Volvo produce. 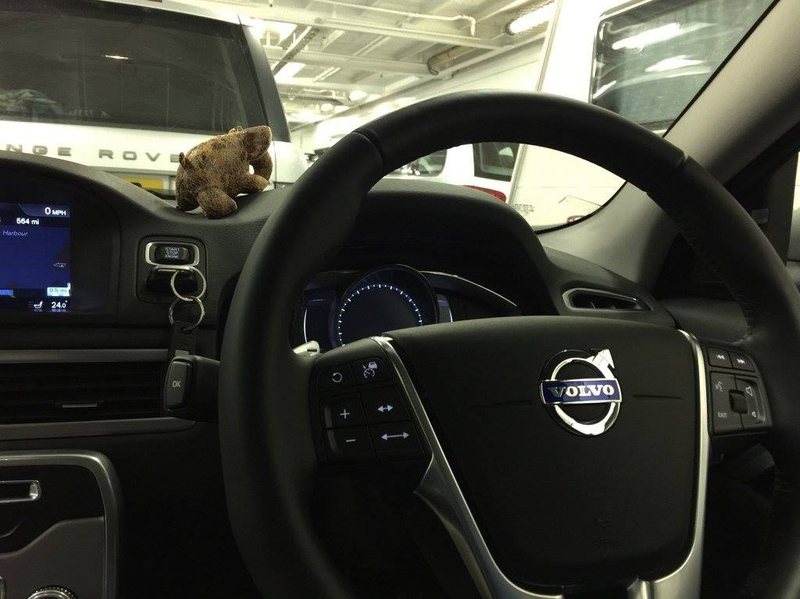 At the wheel of Steve’s V70, my trusty Co-Driver Biff the stress-ball enjoying the view! On the launch of the super swanky new XC90, Vixen arrived. A stunning silver model with all the bells and whistles, and from that moment on, I was well and truly hooked on the car. Since then there has been another Volt, and now my current car, Victoria. The new XC90 is packed to the brim with amazing features… Everything from pilot control (for the boring traffic jams) and apple car play that makes syncing your phone an absolute doddle! 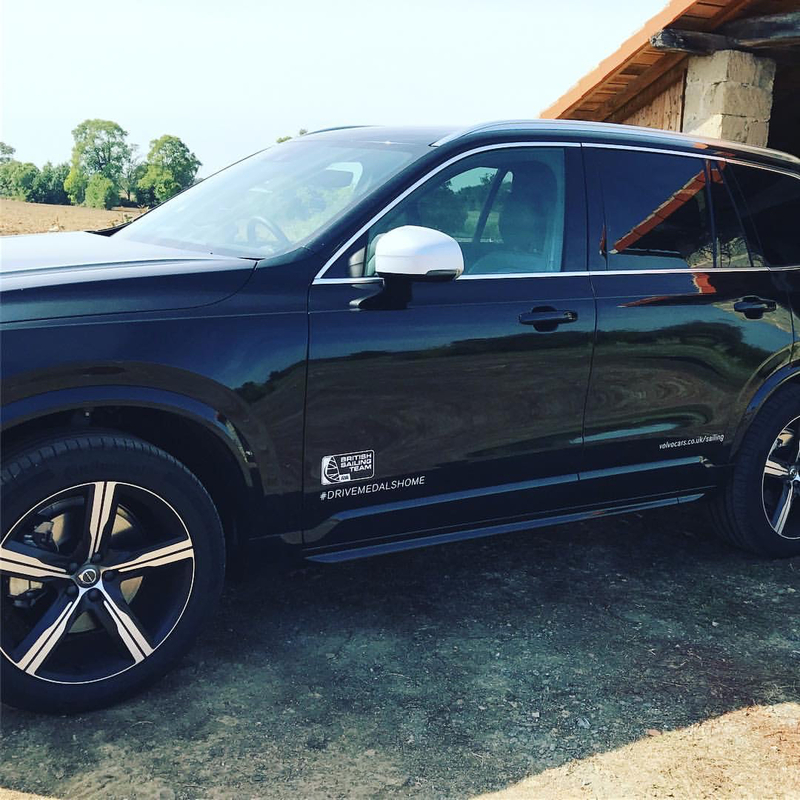 Without Volvo’s support, things would have been a lot more difficult when it came to getting to events all around Europe. I cannot thank them enough for the endless support, and of course the fab cars! 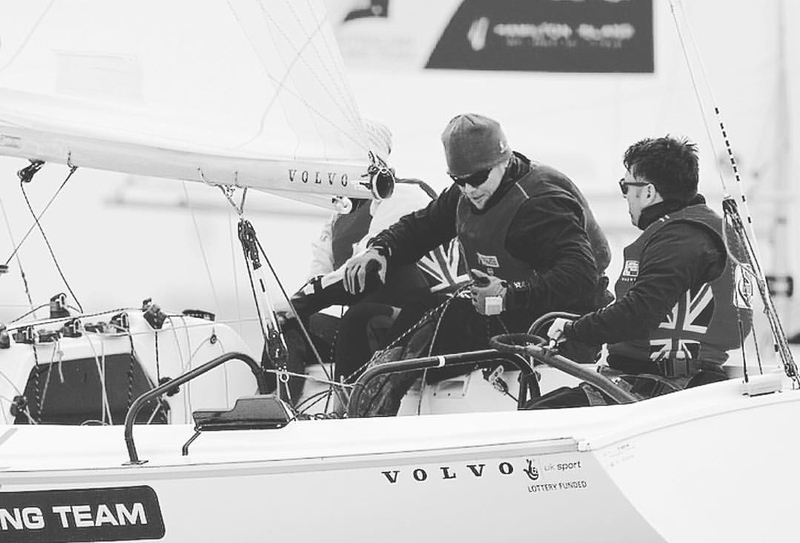 Next Post What now for Paralympic sailing?